Oculus was set to be a brave pioneer in the world of virtual reality, a technology that was on its way back thanks to a massive interest in developers and manufacturers in making the experience of gaming as immersive as possible. Then something happened. Mark Zuckerberg thought it would be a nice idea to buy the company that got everyone excited. The announcement upset many hard-core gamers and shook the world of virtual reality. Understandably, many people (perhaps yourself included) have many questions about what Facebook plans to do with a technology primarily developed for gaming. If there’s one thing a social network like Facebook cannot do, it is to lose relevance in any way whatsoever. Doing so would be fatal and send it in the same direction MySpace went. At this moment, Facebook is losing the younger crowd to other social networks like Instagram (which it bought) and Twitter (which it’s imitating with hashtags, even though Twitter is on the way to removing them). Snapchat is probably Facebook’s biggest indirect competitor, with teenagers flocking towards it as they favor a network that allows them to communicate via selfies. All of this is perhaps motivating Facebook to purchase Oculus. It’s trying to stay on the fray, and it might have some very big plans with the Oculus VR device. 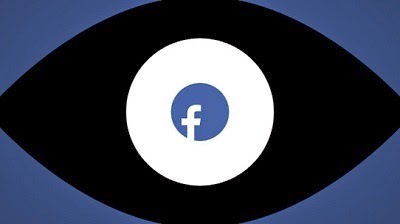 What Does Facebook Want to Do with Oculus? Most likely, Facebook will use the Oculus to break the ice on a new type of wearable technology. For this reason, it will need to “slim down” the device and make it possible for people to interact with it in ways outside of the gaming world. Facebook founder Zuckerberg believes the Oculus can be used for other experiences, such as enjoying a courtside seat at a game without actually being there, consulting a doctor, or interacting with others around the world without flying. Basically, he’s talking about a souped-up version of video conferencing. His idea would require that each end of the conference be equipped with a stereoscopic wide-field camera, which very few people can afford these days. And even if they could, they need to be willing to pay for something like that. Otherwise, your headset will just show you a regular 2D image of someone stretched in front of your eyes. If (and I stress the if) Facebook gets this ball rolling, we will see the world in ways we couldn’t from a screen. Yes, there are 3DTVs, but the experience isn’t as immersive as virtual reality since you still realize that there’s a table under your TV, a vase next to it, and a portrait above it. You’re viewing a world inside of a world. With virtual reality that world will be all you see.